The Season 6 Finale of AMC's THE WALKING DEAD was really well done and packed with excitement, but it ultimately left a sour taste in the collective mouth of fans as we finally saw the arrival of one of the most vicious characters to date in Negan, played by Jeffrey Dean Morgan. The overwhelming fan disappointment comes from the cliffhanger where Negan brutally bashes an unknown cast member over the head with his barbed wire baseball bat named Lucille. Fans will have to wait until the fall to find out who will took that brutal beating. 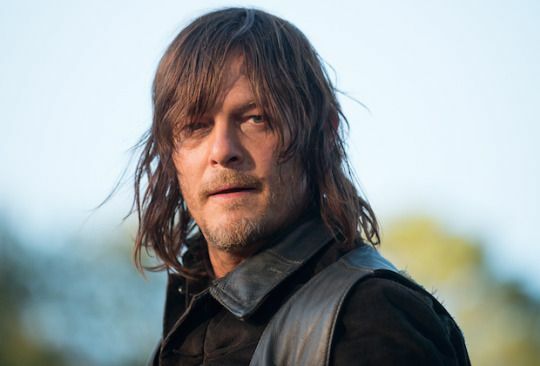 Norman Reedus' new six-part reality series titled RIDE WITH NORMAN will air on AMC beginning Sunday June 12th. THE WALKING DEAD Season 7 will premiere on AMC this fall.